This can be difficult when you’re planning a wedding in Italy; you know you aren’t a sommelier, and aren’t sure which wines should be served at your wedding. The truth is that most people aren’t wine “experts” and only decide which wine they like by how it tastes to them. Fortunately, at BeA Alfrewsco Wedding we can help you with this! In Tuscany, many wedding locations in the countryside are also wine farms– the region is famous throughout the world for its wines, such as the red Chianti, Brunello di Montalcino and Vino Nobile di Montepulciano; the white Vernaccia di San Gimignano, and the dessert wine, Vin Santo. Of course, there are many other wines for you to choose from, and the cost of the wine is lower in Tuscany than it is abroad. You will also be able to have a wine tasting in order to decide which wines you would like to be served at your wedding reception, or just to entertain your guests; and at BeA Alfresco Wedding we can arrange this for you, either the day before the wedding, or a few days earlier if you are having an extended stay in the region. A good number of people for a wine tasting would be 20 – 25 people or less, and usually three different labels are available for tasting, typically one white and two reds, so as not to confuse even the most uneducated wine palates. The wine tasting also includes classic Tuscan appetizers; such as salami, pecorino cheese, and bruschetta, and is typically held outdoors during the summer. You can also have an evening of wine tasting under the stars in some small villages if one of these events is scheduled during the days befor your wedding – you can just stop and try some wine, stroll to the next location and try some more. 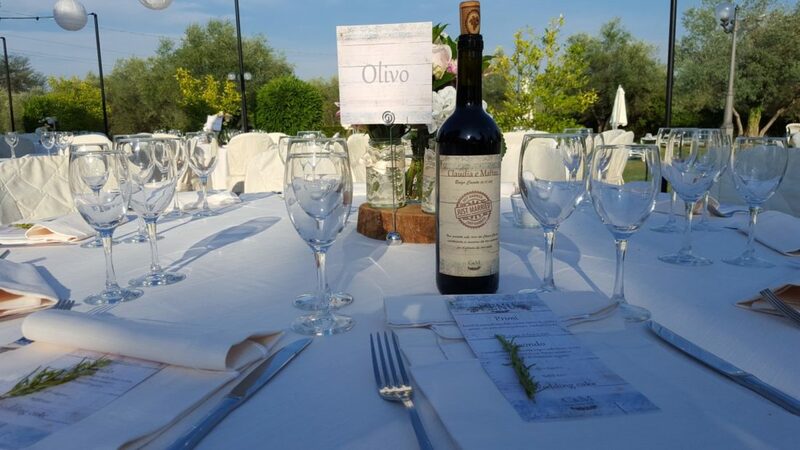 It sounds like a fun way to spend an evening – especially in such a beautiful setting and with the breathtaking views that only Tuscany can offer! We are asked many questions, especially from Americans, on the subject of wine; and one request is that they would like to celebrate their wedding in one of the vineyards. This is a very romantic idea, but the reality is that having people in the vineyards would damage the precious vines. We can, however, offer a compromise by celebrating the wedding in a location that has a beautiful view over the vineyards – especially at sunset – and can guarantee that the result will be very romantic as well!